6'4" 230 lb. 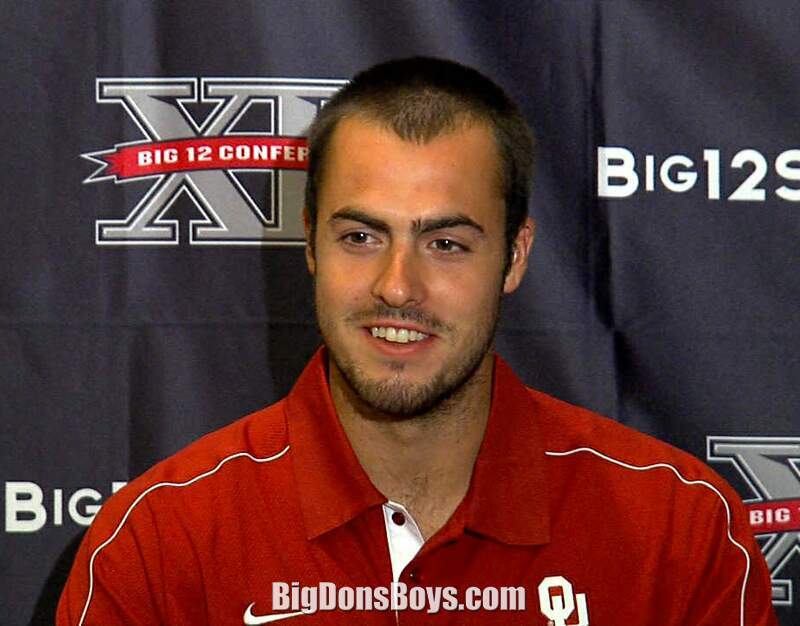 Landry Jones (born April 4, 1989) is an American football quarterback for the Pittsburgh Steelers of the National Football League (NFL). 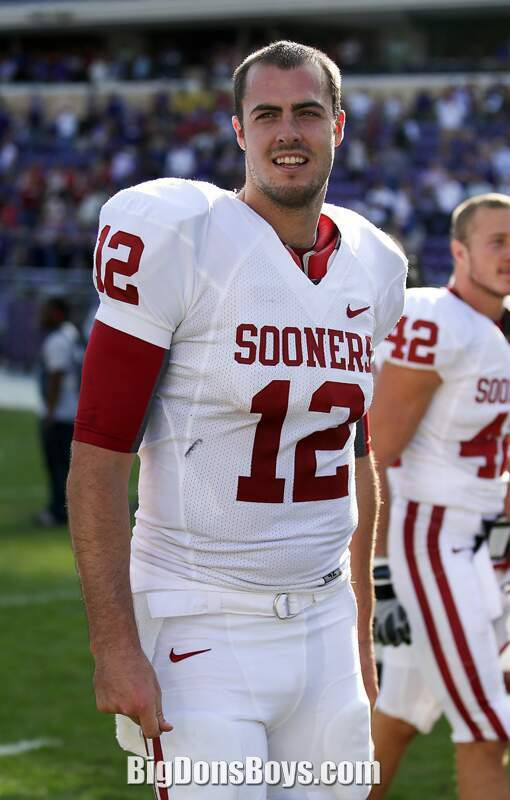 Jones played college football for the University of Oklahoma. 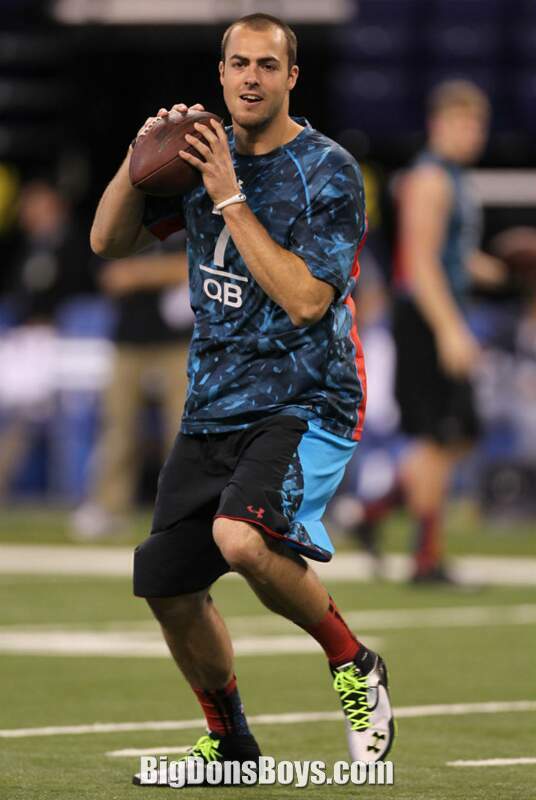 The Pittsburgh Steelers picked him in the fourth round of the 2013 NFL Draft. 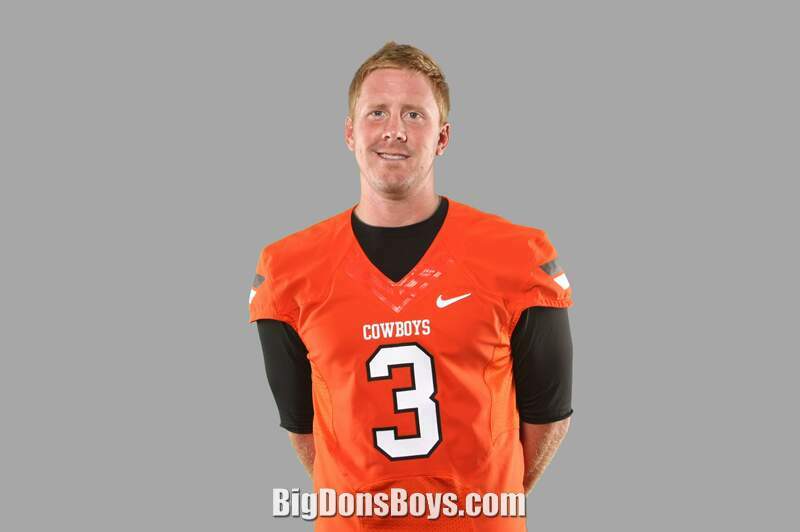 Jones was born in Artesia, New Mexico. 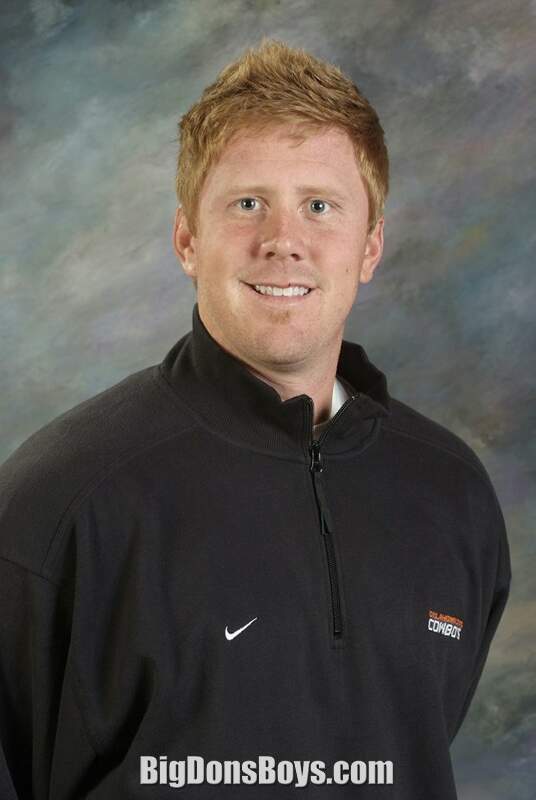 He attended Artesia High School in his hometown, where he led the football team to two consecutive Class 4A state championships, throwing for a combined 7,013 yards and 89 touchdowns. 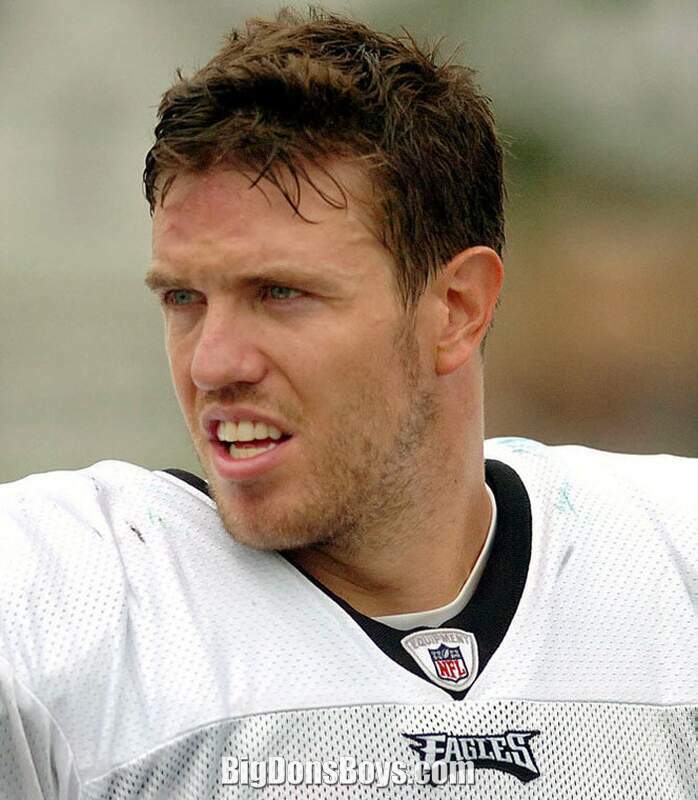 As a senior in 2007, Jones threw for 3,433 yards and 45 touchdowns. Artesia won its second consecutive Class 4A championship, against Goddard High, in which Jones threw for 325 yards and seven touchdowns, a school record. 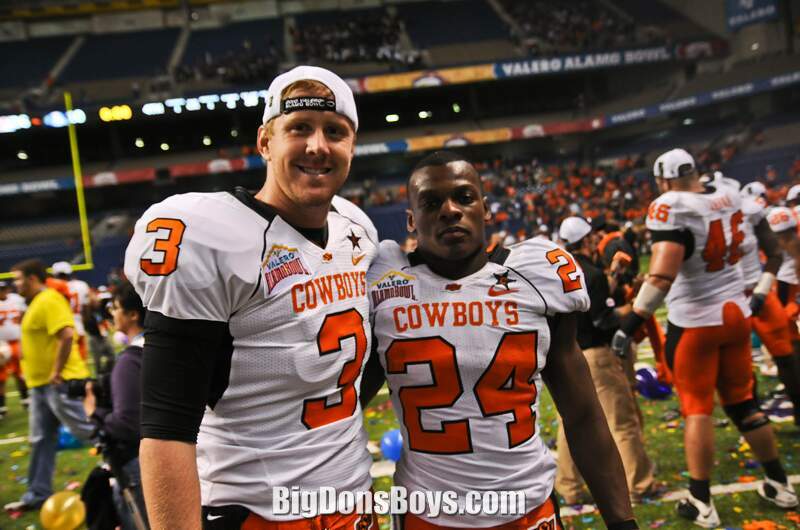 Jones was later named New Mexico's Class 4A Player of the Year and was a finalist for the Joe Montana Quarterback of the Year Award. 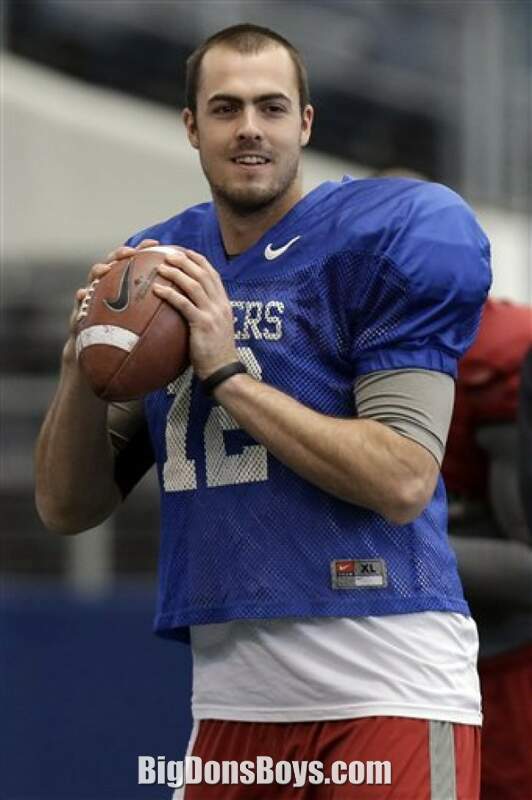 Jones was a highly regarded recruit and was among the highest rated quarterbacks for the 2008 class by several ratings publishers including a four-star rating by both Scout.com (sixth rated quarterback) and Rivals.com (sixth rated pro-style quarterback). 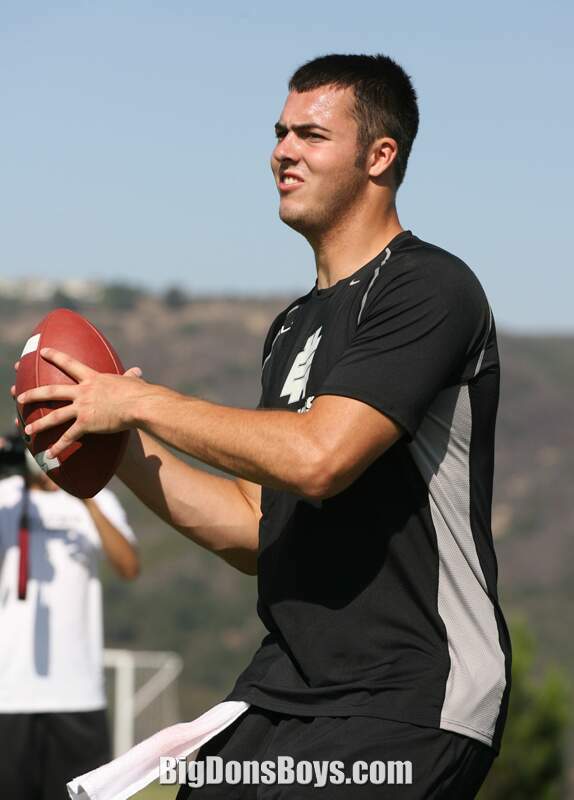 He was recruited by many schools including Colorado, Oregon, Stanford, UCLA, Virginia and Wisconsin. 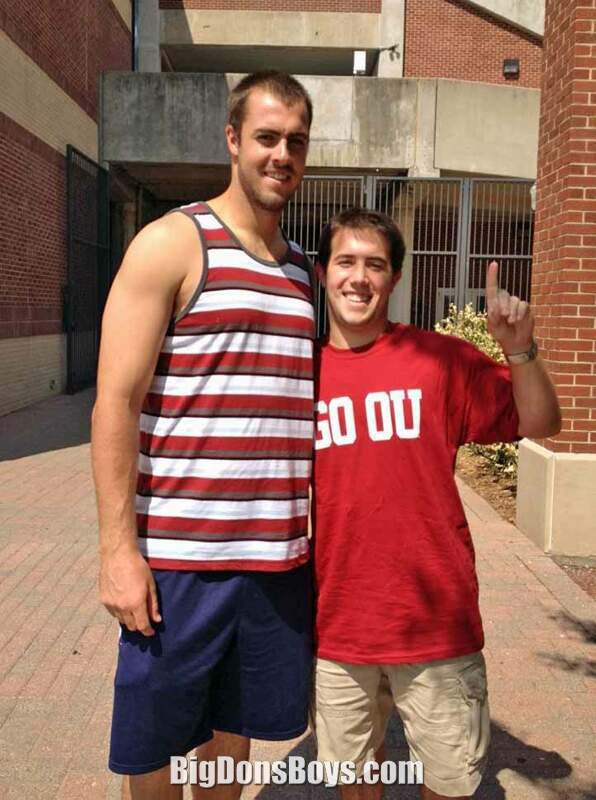 He later committed to Oklahoma. 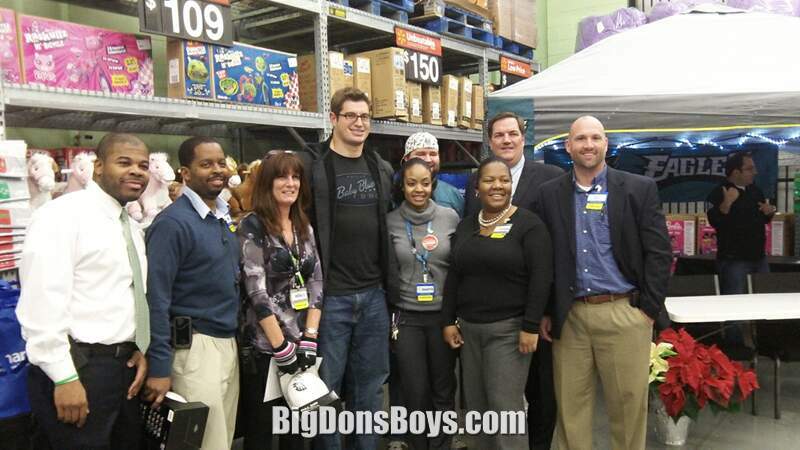 In 2013 he was drafted by the Pittsburgh Steelers. 6'4" 220 lb. 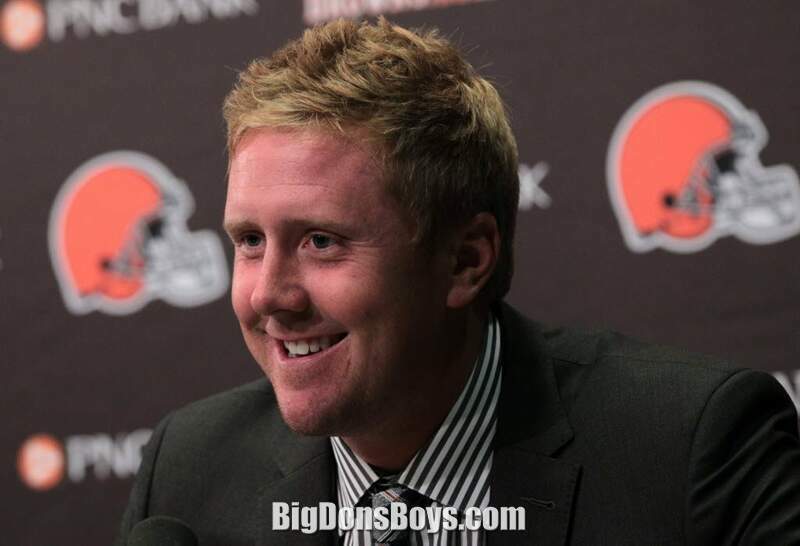 Brandon Kyle Weeden (born 1983) is an American football quarterback with the Cleveland Browns of the National Football League (NFL). 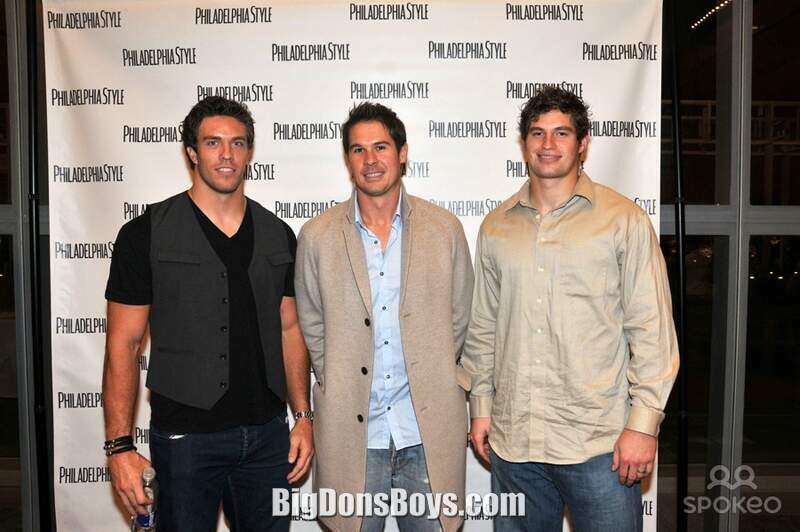 He was drafted as the 22nd overall pick in the 2012 NFL Draft. 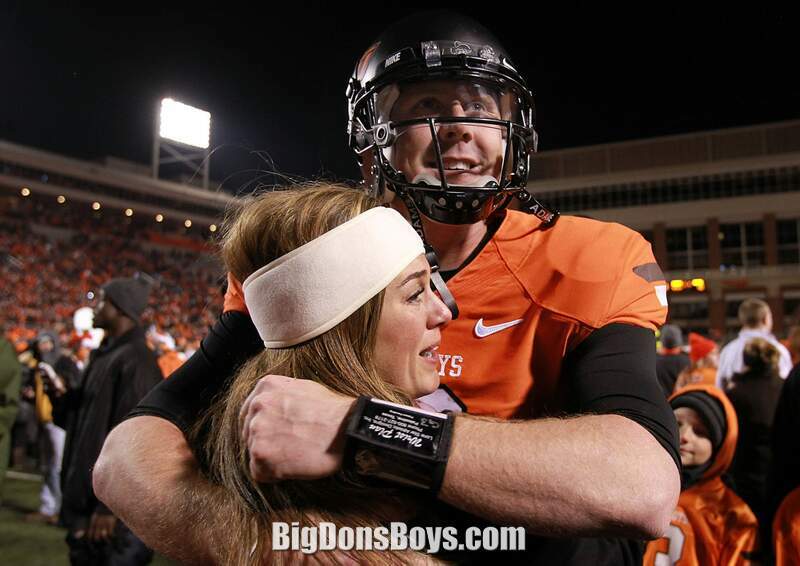 He was the starting quarterback for the Oklahoma State Cowboys from 2010 to 2011. 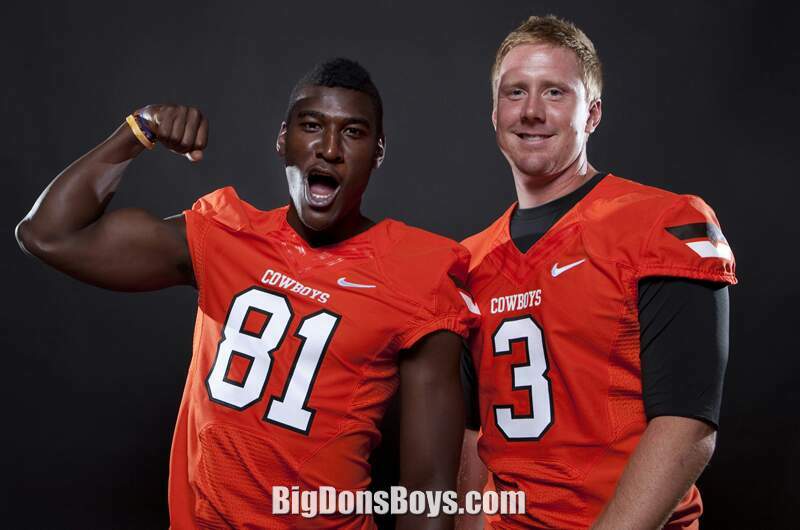 In that time, Weeden, along with teammate receiver Justin Blackmon, broke several school passing/receiving records at Oklahoma State. 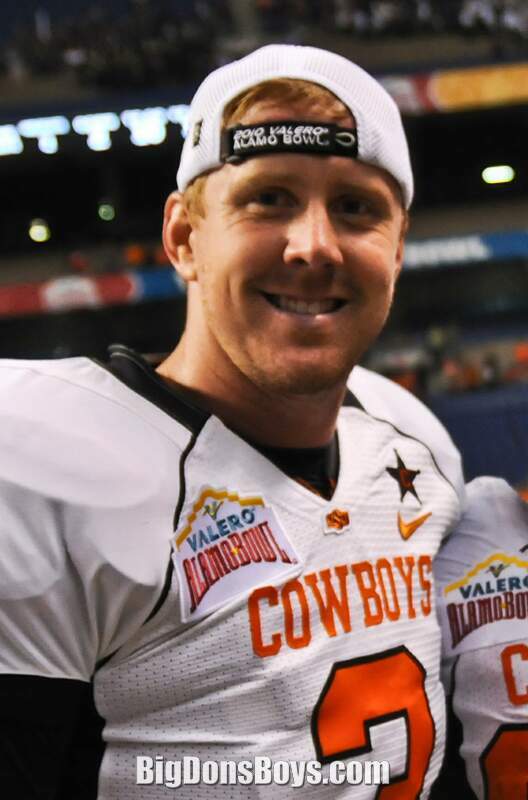 Weeden was the starting quarterback at Edmond Santa Fe High School, where he led the team to a victory in the state semifinals in the school's first-ever playoff appearance, and was named team MVP and offensive player of the year. 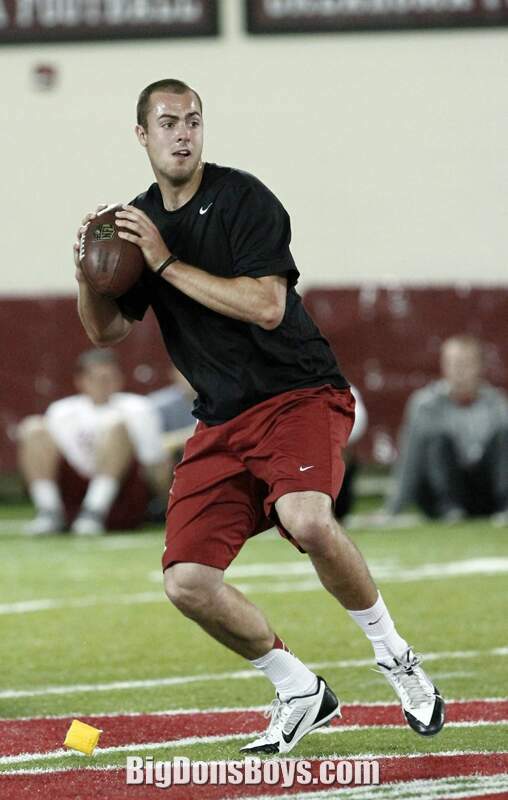 He finished 2nd in the state of Oklahoma in passing yards with 2,863 and accounted for 25 touchdowns. 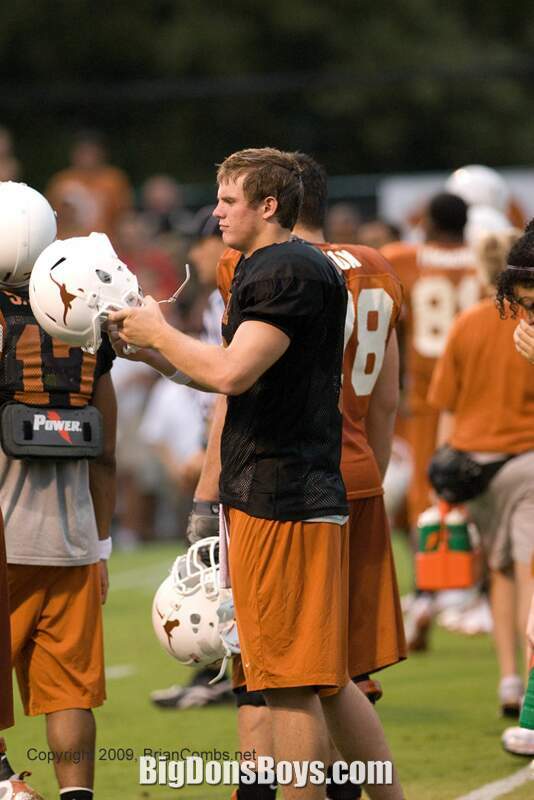 He was also an all-state baseball player and football player. 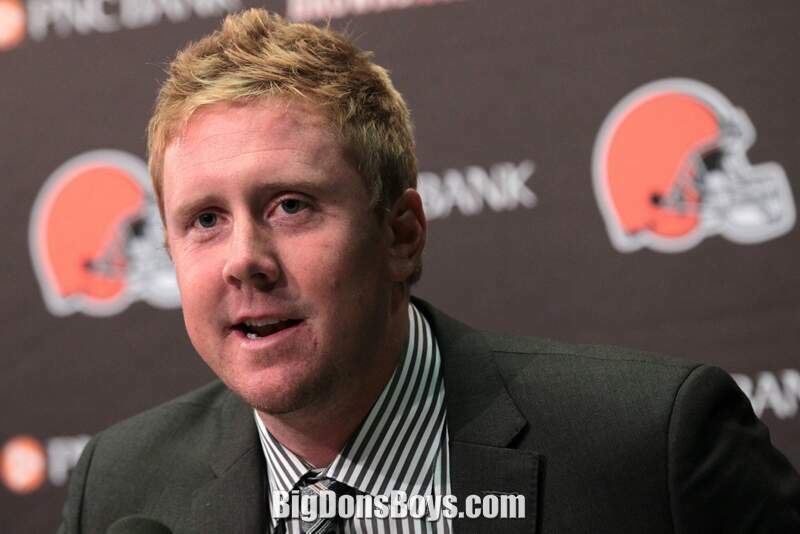 Later on, Weeden graduated from Edmond Santa Fe High School in 2002. 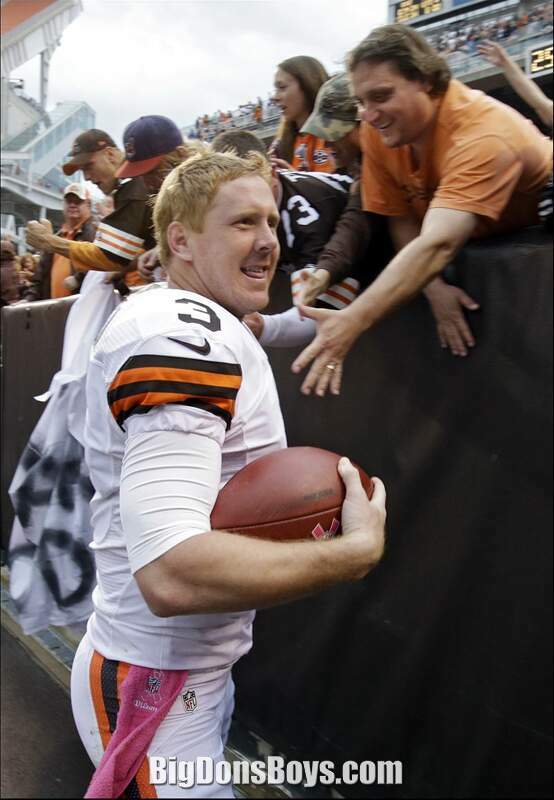 A pitcher, Weeden was drafted in the second round of the 2002 Major League Baseball Draft by the New York Yankees as their first selection in the draft. After the 2003 season, he was traded to the Los Angeles Dodgers with Jeff Weaver and Yhency Brazobán for Kevin Brown. 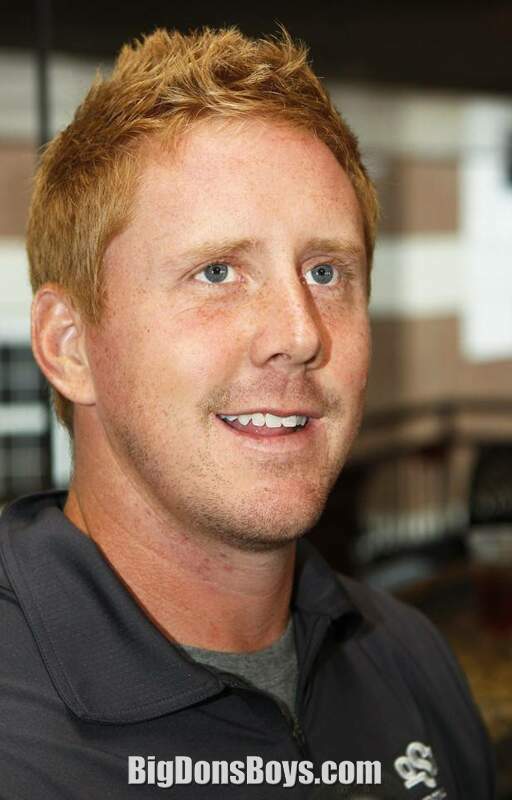 Following the 2005 season, he was selected in the Rule 5 draft by the Kansas City Royals. 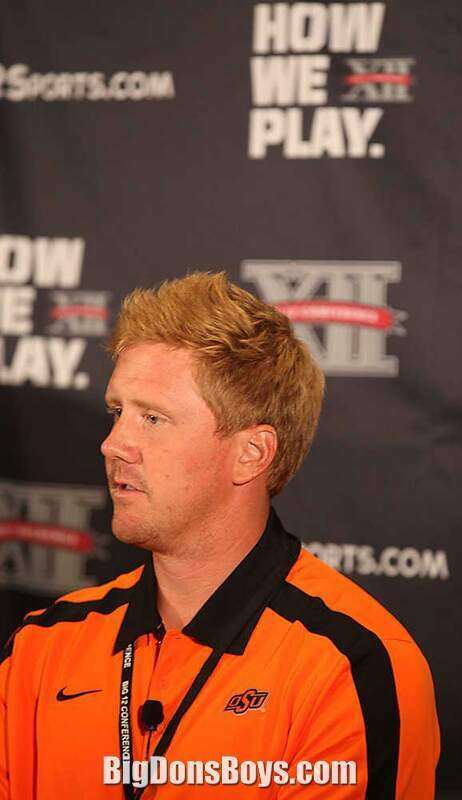 Weeden played his last season of professional baseball in 2006 with the Class-A High Desert Mavericks of the California League. 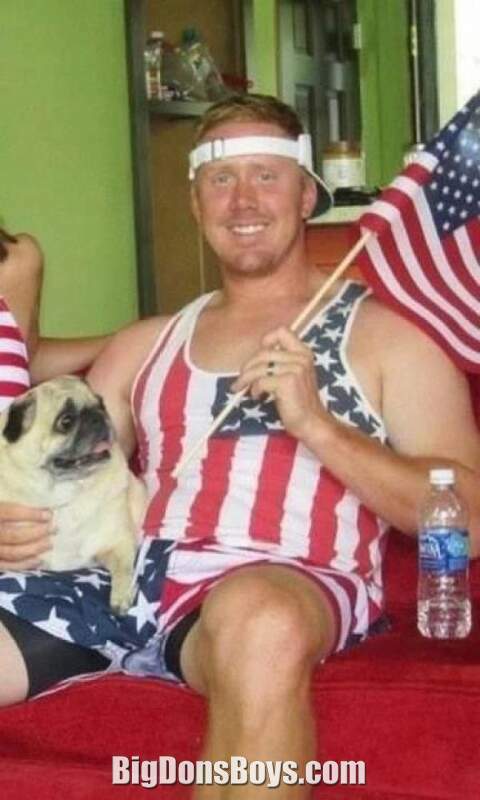 Injuries and a high ERA led to Weeden quitting baseball. 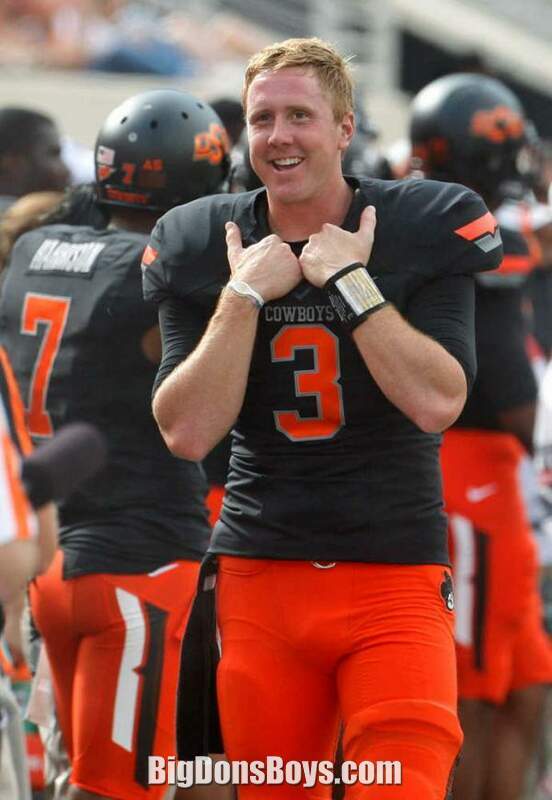 Instead he enrolled at Oklahoma State in 2007. 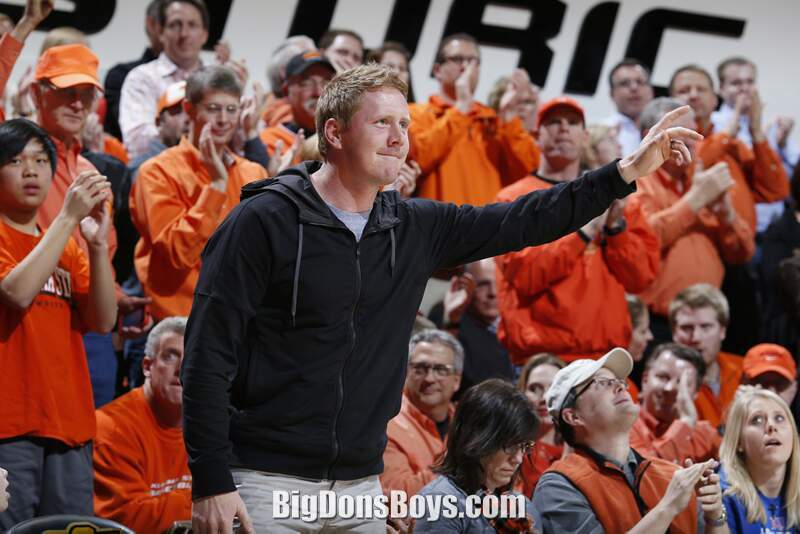 Brandon Weeden set numerous records for passing, and offensive performance at Oklahoma State University, many of which surpassed records set by his college coach, Mike Gundy, when Gundy was a player. 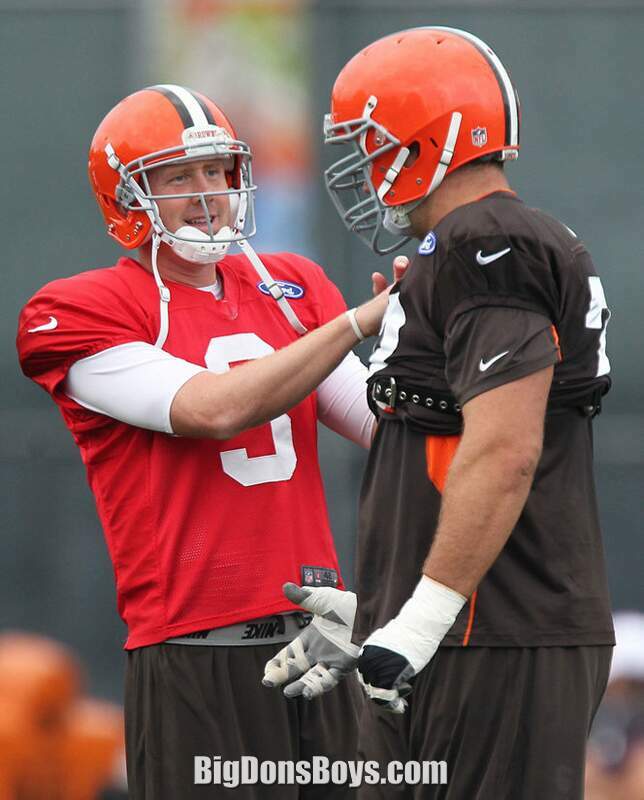 Weeden was drafted by the Cleveland Browns with the 22nd pick in the 2012 NFL Draft; the oldest player ever taken in the first round, at 28 years old. 6'4" (1.93m) 260 lb. 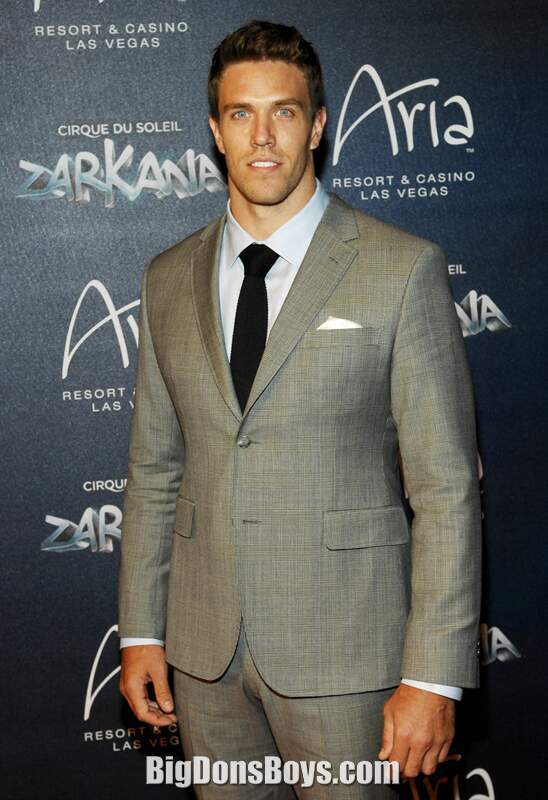 (118 kg) Stuart Bradley is so handsome he is almost shocking. Look at this photo at left. Unbelievable. 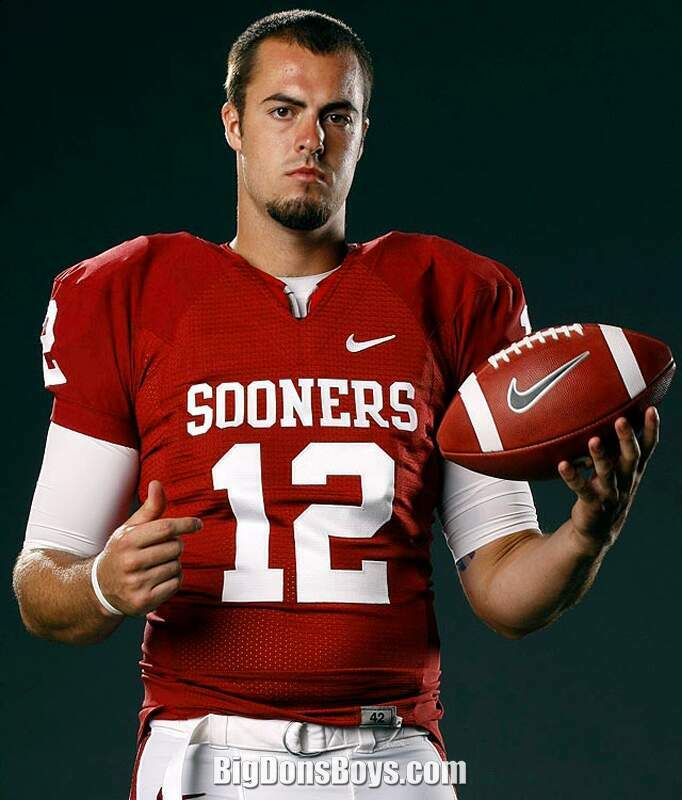 It pains me to think his perfect face is gonna get smashed on the field. At least he is not a boxer! 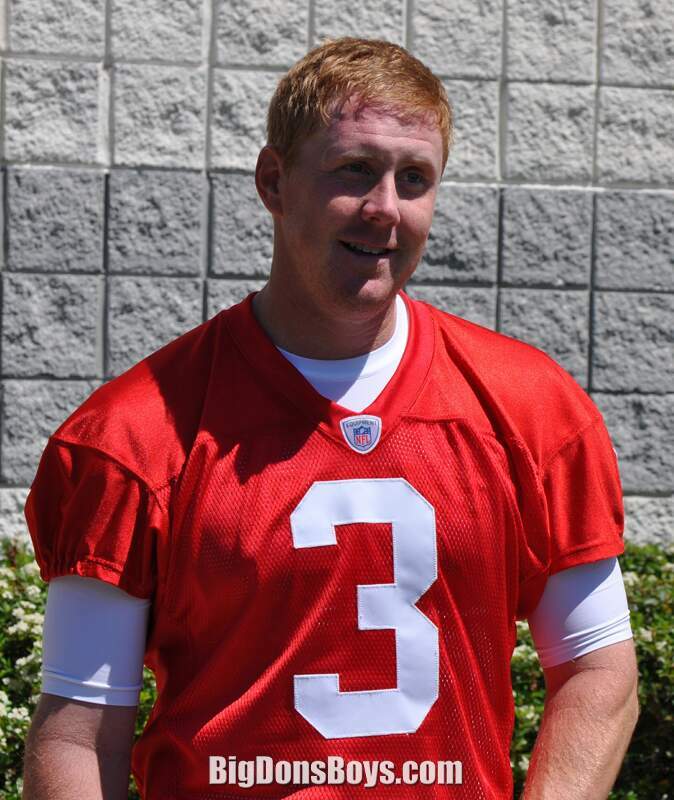 Born in 1983, Stuart is an American football linebacker for the Denver Broncos of the National Football League. 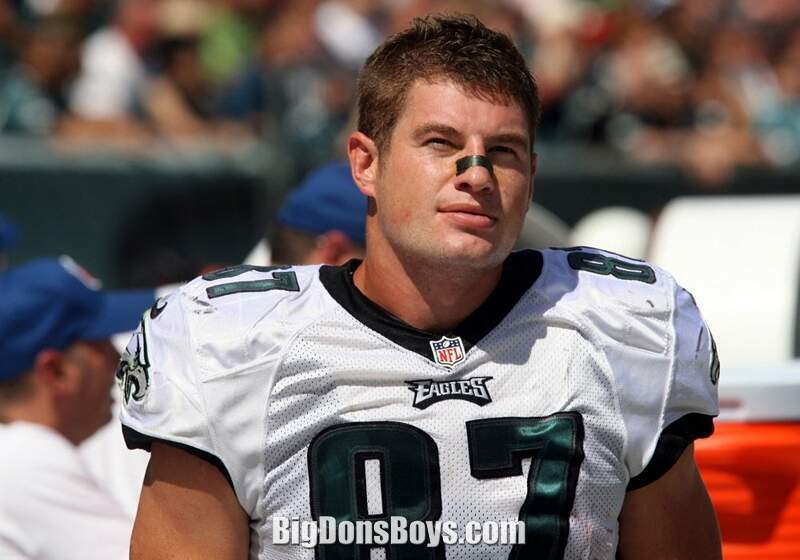 He was drafted by the Philadelphia Eagles in the third round of the 2007 NFL Draft. 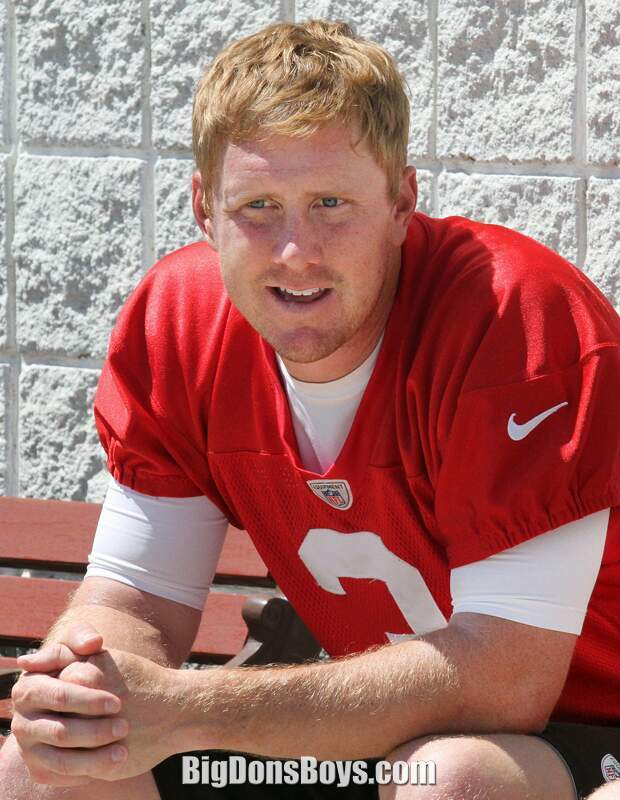 He played college football at Nebraska. 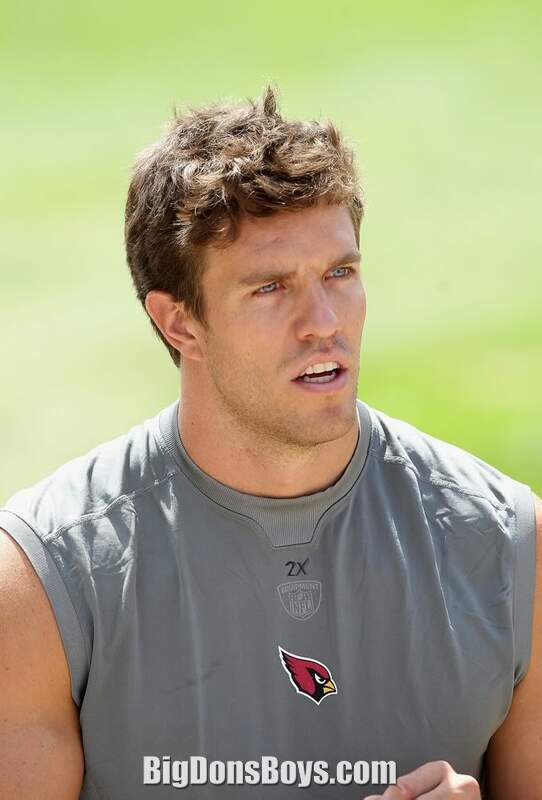 Bradley has also played for the Arizona Cardinals. 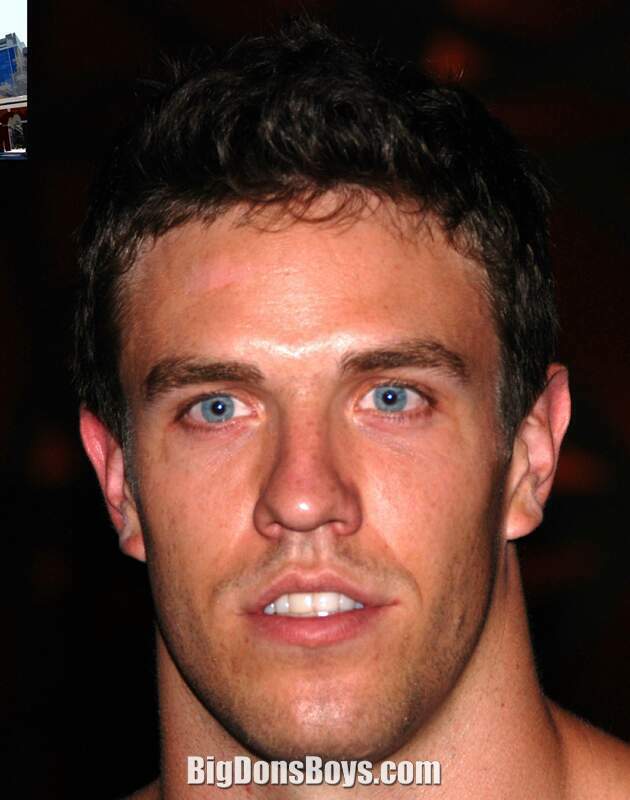 Bradley played just one season of football as a junior at Highland High School in Salt Lake City, Utah, due to injuries, starting at safety. 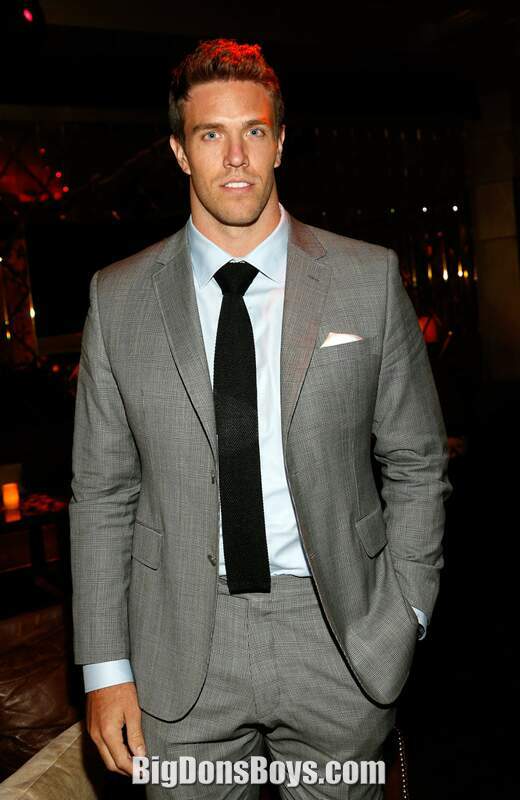 He also starred in rugby and won 3 straight national championships with the Highland Club in Salt Lake City. 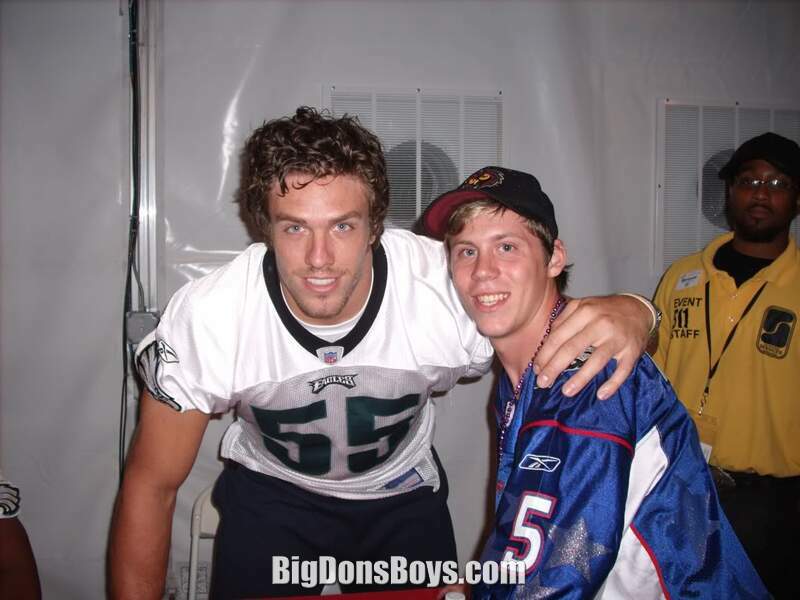 Bradley was a three-year starter at the University of Nebraska as a strong-side linebacker and in 43 games, registered 175 tackles, 25 TFLs, 4 sacks, 3 FFs, 4 FRs, and 1 INT, which he returned 43-yds for a touchdown. 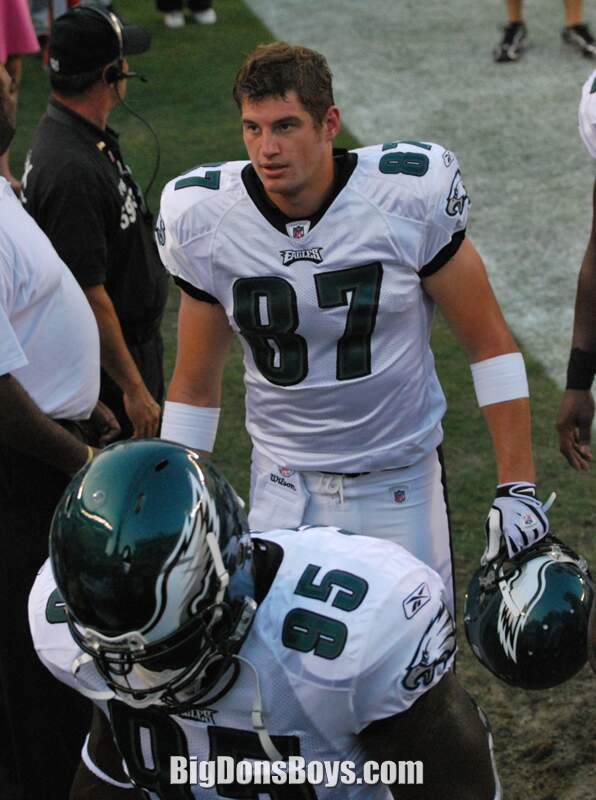 Bradley was drafted by the Philadelphia Eagles in the third round of the 2007 NFL Draft. 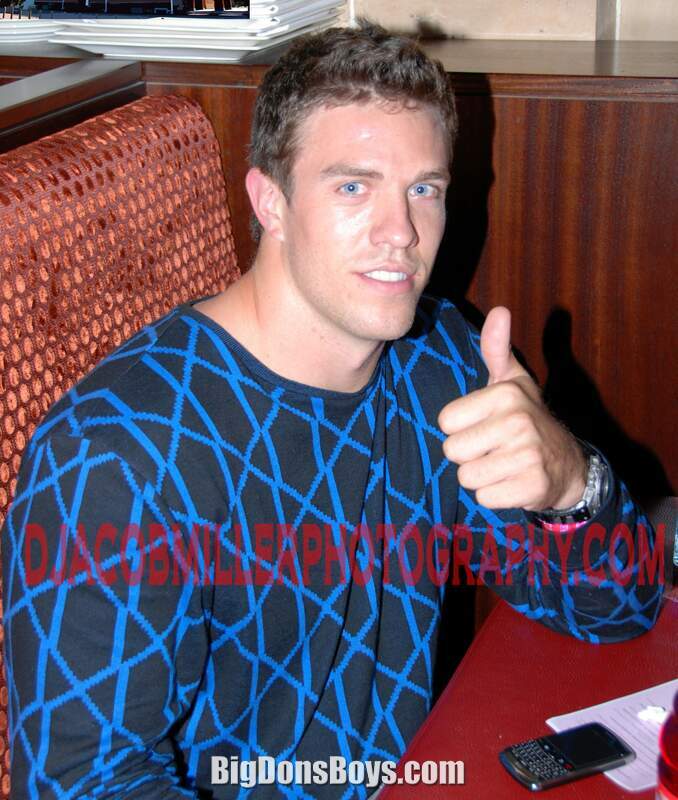 Bradley was signed by the Arizona Cardinals on July 29, 2011. 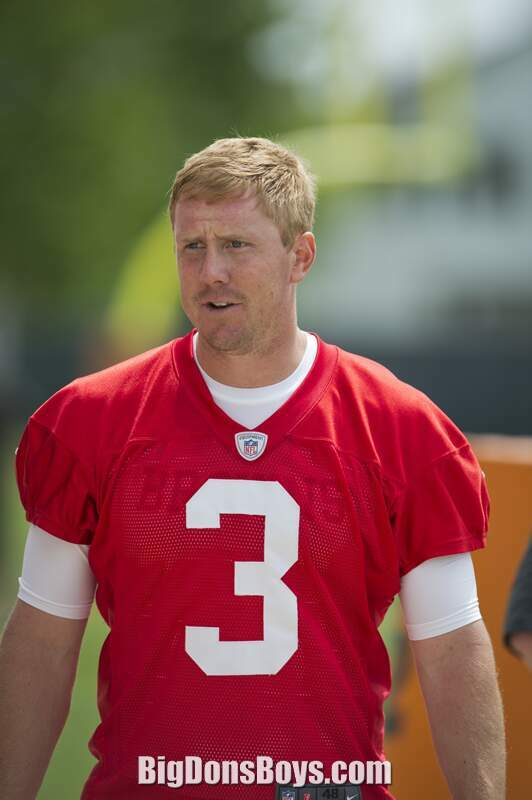 In a move to gain salary cap relief, Bradley was cut on March 1, 2013. 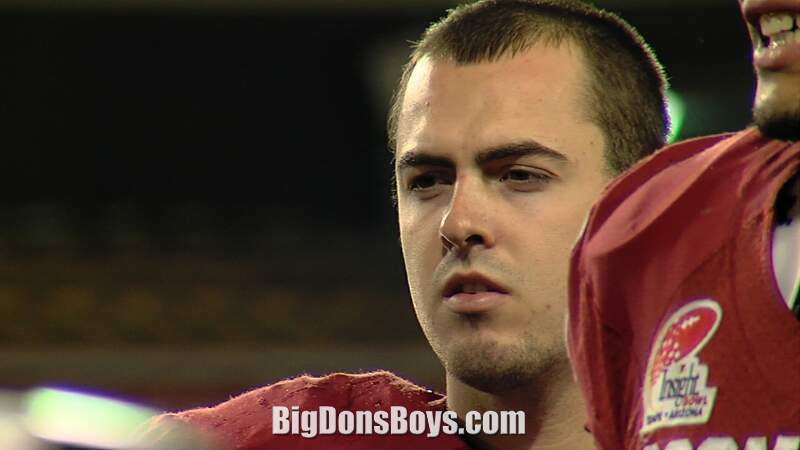 Bradley was signed by the Denver Broncos on March 13, 2013. 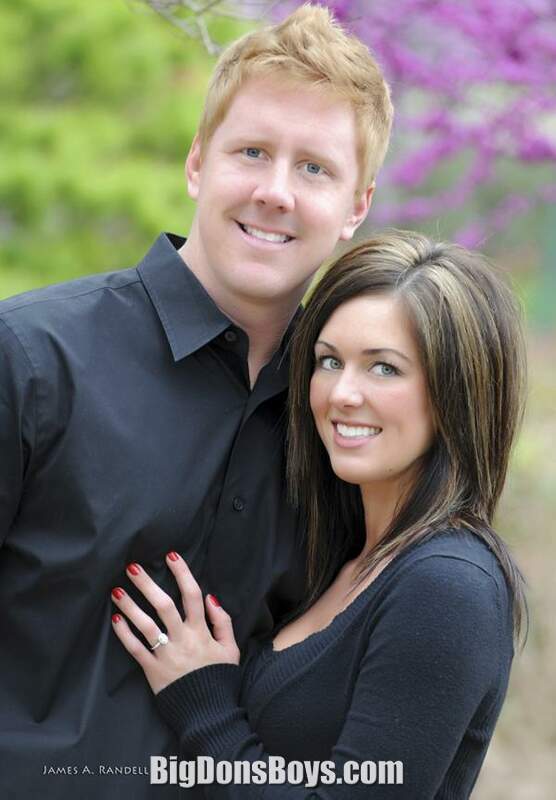 Stewart is married to Hayley Hernandez from Sacramento, California. What a lucky gal! 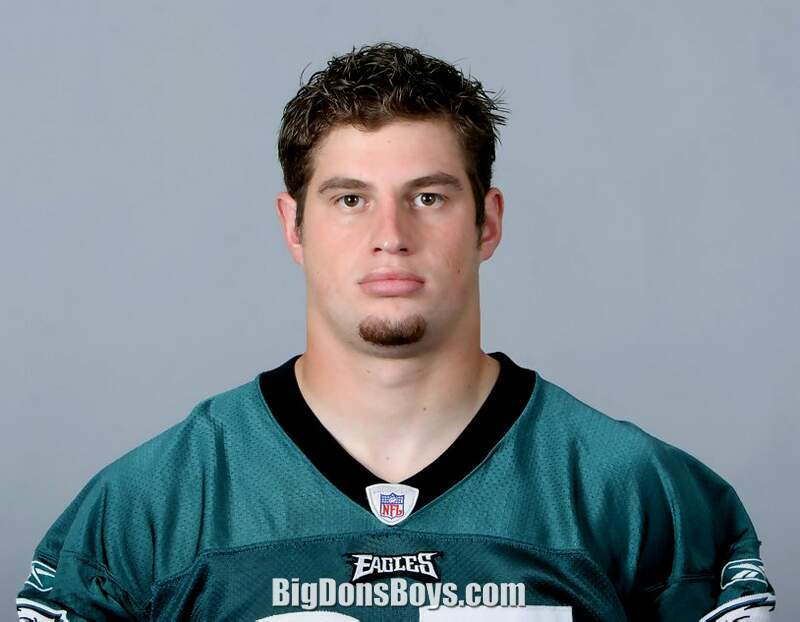 Former Husker linebacker ('03-'06) and current Philadelphia Eagle Stewart Bradley sits down with HuskersGameday.com's Jeff Williams for an exclusive interview in this grainy video. 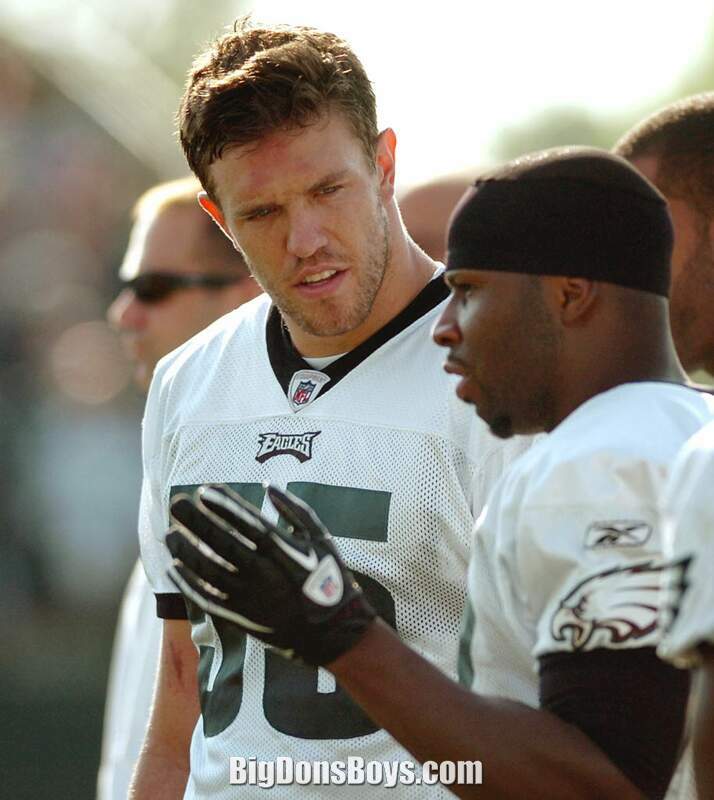 Topics discussed: recruitment to Nebraska, Nebraska & Philly fans, knee rehab, playing under Bo Pelini & Kevin Cosgrove, Ndamukong Suh, charity work, and 2010 outlook for the Eagles and Huskers.